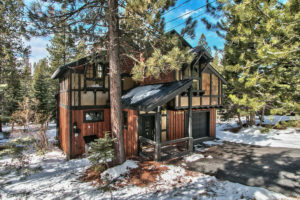 Home > New Tahoe Donner Listing! New Tahoe Donner listing at New Tahoe Donner listing 11808 Schussing Way! This beautiful Tahoe Donner mountain home, with recent upgrades throughout, is waiting for you! This property boasts gorgeous granite counter tops in the updated kitchen and baths, high ceilings and a blissfully sunny deck. Enjoy hiking and biking on the Tahoe Donner trail system, with access right across the street. In winter, get out your cros country skis and go to the nearby Tahoe Donner Nordic Center. This charming chalet will be perfect as a weekend retreat or an everyday residence.